In reality, the reverse is the case as not all private schools are costly, the students are actually monitored, well disciplined and quality education is been delivered to pupils. Nevertheless, some parents have expectations from private schools and they believe the schools are not meeting their needs as regards the care of their children. What are some of the expectations parents place on teachers in private schools in Lagos? Be the principal educator of their children. Most Nigerian parents perceive a fairly distinct boundary between the role of the home and that of the school. They believe the teachers are there to teach the children, they are getting good remuneration and holidays to do ensure this. Some parents have abdicated their responsibilities to the schools, believing that bringing up a child is the school’s duty. Parents need to know that they can’t leave all the responsibilities to the school. Doing this will result in they not being able to track and keep a record of their children’s performances academically and even in other areas. The school also has been in the blame game, blaming parents for not paying attention to their children because they have sent them to school. Another teacher noted “As a teacher, I must say that parents have a lot to do. You should insist that your child’s school gives you expected learning outcomes and you should be able to know what your child should achieve after a certain class. Usually, schools have a term plan. It is divided into weeks. You should insist on knowing each topic from each subject and you follow up. Bringing up a child is not just a school’s duty but many parents are leaving it to the private schools in Lagos and that is why they do not know what their children are doing in school. Some teachers argue that since all children do not have the same intelligent quotient (IQ), thereby learning at different paces, parents have to play their own parts own to make sure that the school plays its role. This role includes checking the efficiency and effectiveness of teaching staff as some teachers tend to be lazy. As pointed out earlier, parents expect teachers in private schools in Lagos to carry out the above listed and in some cases, more. Faced with this situation, one cannot but ask the question, what is the reality of things? How then do teachers treat students in private schools in Lagos? A student returning home after long school hours with a number of school work is not new to parents with children in secondary schools in Nigeria. Parents are already used to this style of teaching and learning that it becomes very unusual for a child to come home without an assigned academic work expected to be done at home. All pupils really need is time and attention. This is one thing teachers in private schools in Lagos try to do every now and then. The pupils want their teachers to make strong connections with them, to know they love some form of sports or exercise or their interest in something else alongside their school work. This is possible because of the small size of the class in a private school in Lagos such as Greensprings schools. In large classes, some students feel anonymous, which often contributes to poor performance and behaviour. Small class sizes allow teachers to teach effectively, to give the students the individual attention which they deserve, and to accomplish the goals which have been entrusted to them as teachers. It is worthy of note that teachers can get to know all their students as well as others throughout the school community. 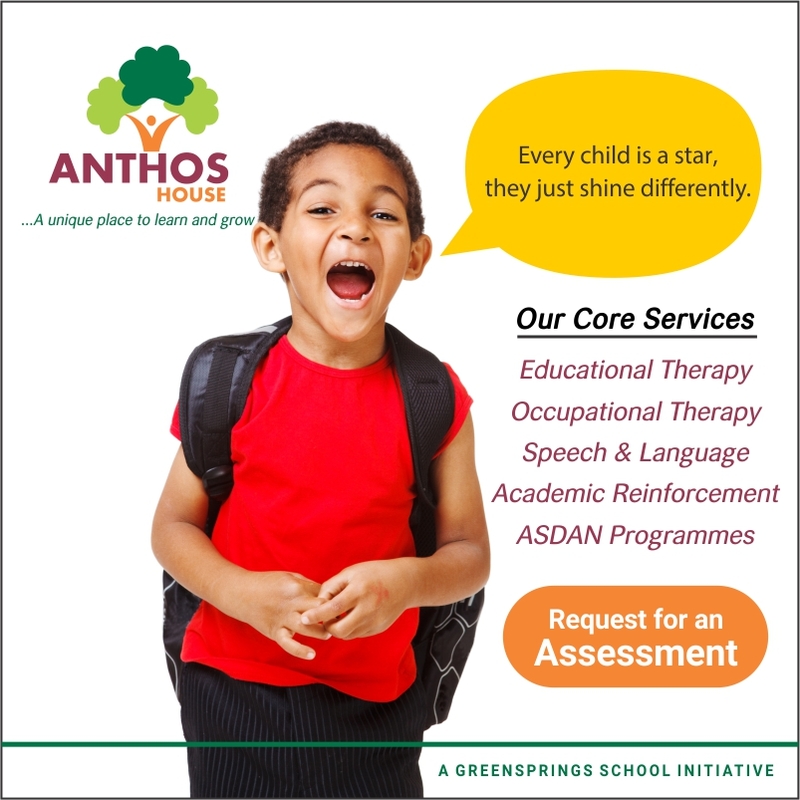 As a private school in Lagos, where well-rounded education is of paramount importance, Greenspring schools allow teachers to be creative in teaching their subject. Teachers want to light the fires of enthusiasm for learning within their students. Because private schools adhere to the spirit, but not to the letter of state-mandated curricular, there is great flexibility in the choice of texts and of teaching methodologies. 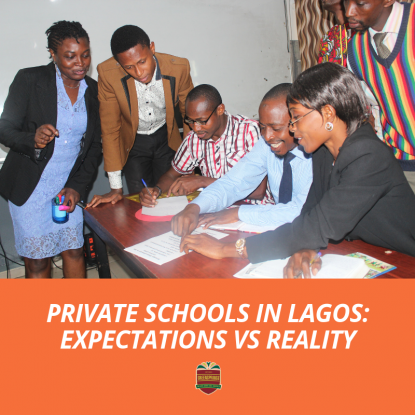 Private schools in Lagos exist because parents want their children to have the best possible education. Parents are paying serious money for that service. Consequently, everybody expects the very best results. Hence, only the best will do for the teachers and the school management. 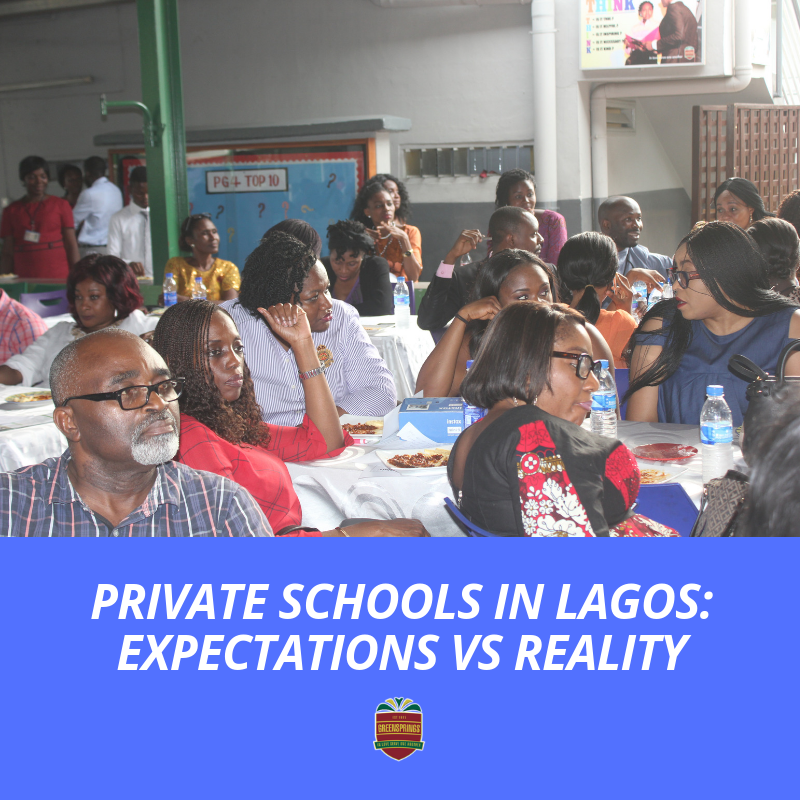 Judging from the foregoing, it is evident that both parents and private school teachers in Lagos have a common goal which is: the interest of the child. How then can both parties work together to further the interest of the child? Cooperation on child discipline: Parents send their children to private school to learn. As expected, there will still be the usual teenage experimenting with authority and the limits. But, as a rule, that kind of testing is fairly harmless. However, where they cross their limits, proper discipline is meted out. Discipline is a critical part of the three-way partnership private school education is all about. When you sign the contract with the school, you commit to a three-way partnership. While the school takes care of the academics and provides a host of other services while your child is in its care, you are still required to be involved. The school will not allow you to be a silent partner. It will insist on your involvement. Child upbringing and training is not the duty of the school only. Private schools in Lagos aim for teachers to be in partnership with parents to provide the adequate attention that every child needs to do well. As stated above, the school will insist on a parent’s involvement which is measured in terms of evaluation and feedback. This will give room for parents and teachers to rub minds together and to iron out these grey areas in the interest of these pupils and their future. 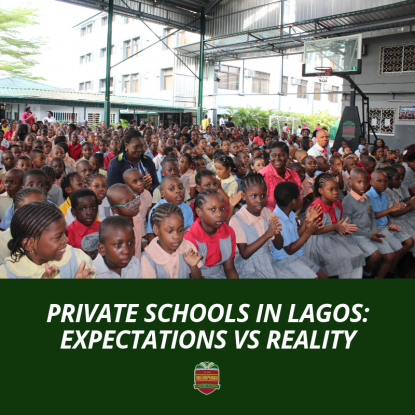 These measures when put into consideration will no doubt help balance the expectation and reality of parents when it comes to private schools in Lagos.